It used to be an actual chocolate factory a long time ago. “The Chocolate Factory”, is now the name of this tall, solid building on Kings Inn Street. and the community of businesses inside that are rejuvenating it. There’s a dojo, several photographers, an upcycling furniture shop, a graffiti artist and a café that is planned to open in February. Last week 2,000 people attended a vintage market there. I’m here to take a look at the “Urban Farm” developing on the roof. Paddy O’Kearney is waiting to show me and some urban planning students around on the huge ground floor, which dwarfs the café that is taking shape in the corner. 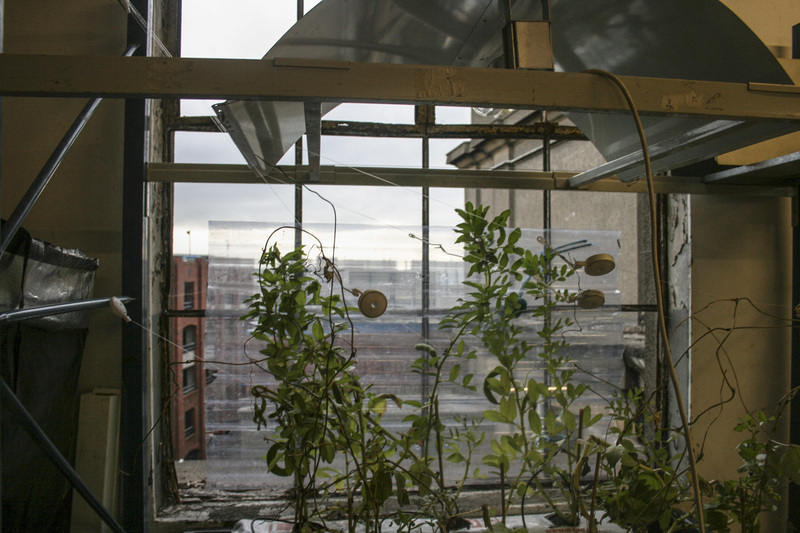 Paddy is enthusiastic and animated when we finally get up to the fifth storey, the workstation just below Ireland’s first rooftop farm. You could call the space up here a shell, but there’s a lot happening. 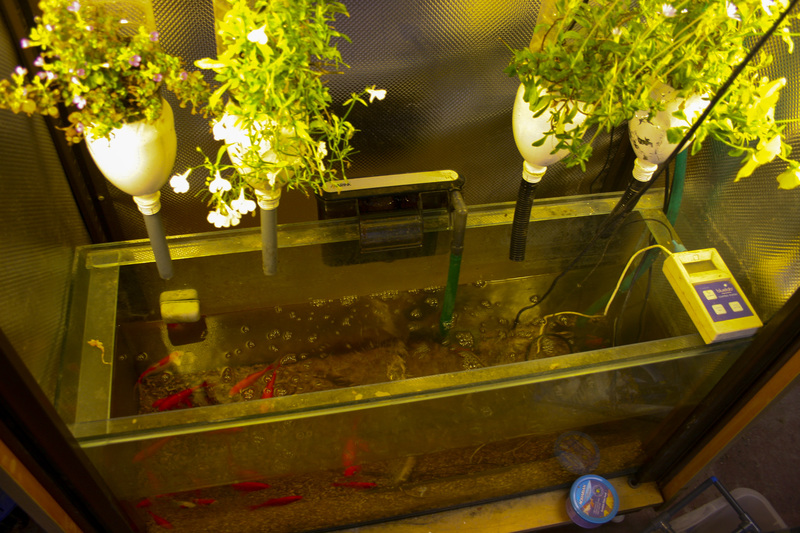 There are several workstations, plant nurseries, what looks like a pen for animals, bags of soil, and an aquarium with plants above nestled in old plastic bottles. Most strikingly though, is what looks like a slaughterhouse for wooden pallets. 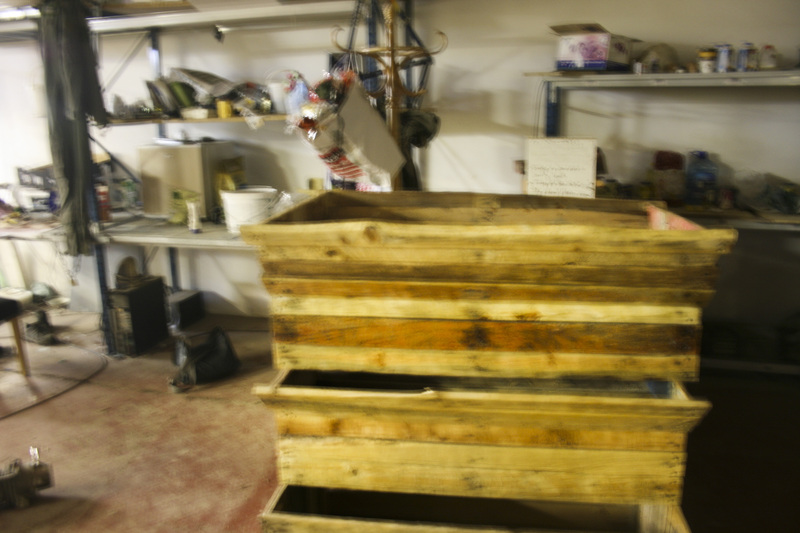 “It takes about 2-3 pallets, and a day’s work to make one of these”. Paddy brings us over to a “multi-tier raised bed”, which is a solid looking wooden construction, with different levels of shelves to house plants. “We coat them in yacht varnish, they’re pretty sturdy. It allows us to grow on several different levels. Blueberries, blackberries, all your granules, but you can still plant in your annuals as well and your bi-annuals.” Paddy says that when he looked online he saw these things selling for about 180euro and he’s not lying. This floor, which Paddy plans to make into a nursery, could be described as chaotic, but it doesn’t feel messy when you look at it in detail. It’s well organised, with safety equipment and fire extinguishers on the wall. More than that, you get the sense that everything in it, the rubble, the soil, the fish, the workstations, is being put to good use. Paddy has a plan to upcycle any material you can think of. That’s what the Urban Farm is all about. “So we go up”. We’re led up onto the roof, and are greeted by six friendly, well-fed chickens. Paddy asks them not to drink his coffee as he places it on the ground. 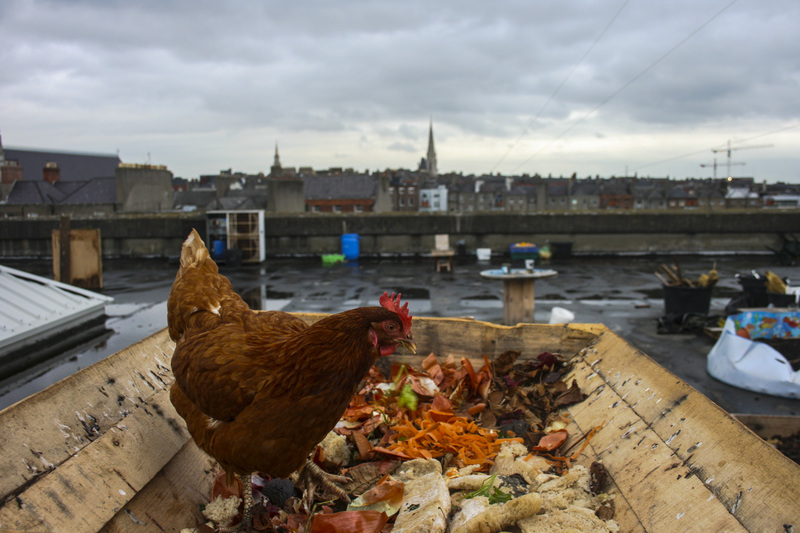 If the chickens are puzzled about being up above Dublin City on the roof of an old chocolate factory, they don’t show it, happily pecking away at the soil and compost. Paddy describes the roof as “stunning”, and it is and not just in its views. The work that’s taken place on it over the last four months is impressive, but only confined to one corner of the roof so far. Still, it’s exciting to look at what’s happened so far and imagine it multiplying five or six times. It’s exciting because what has happened has worked. I never thought of a roof going to waste before, but I guess they can, not this one though. 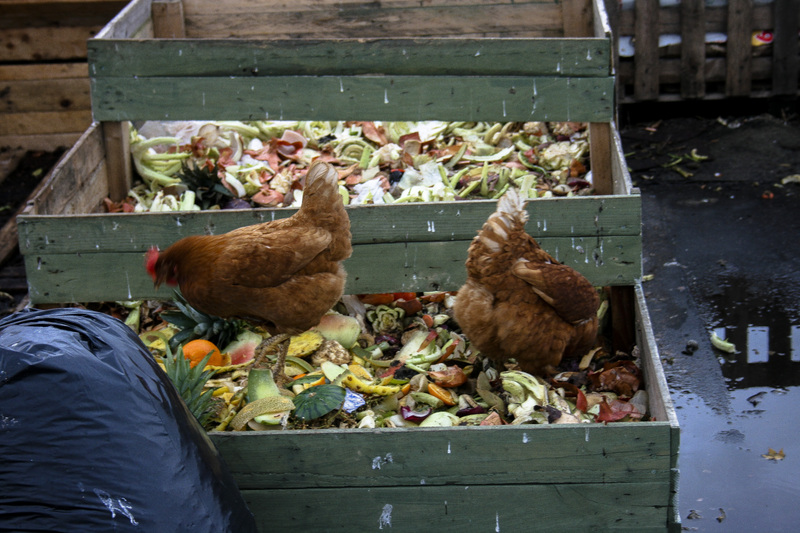 Nothing at the Urban Farm is going unused. “It’s all about upcycling. Figuring out how we can use what we have” says Paddy. The slanted roof covering the doorway to the roof is being put to use housing plants. The chicken coop which Paddy and the rest of the urban farmers built themselves, has a plastic roof made from tiles they found. At the back of the chicken coop is a greenhouse. 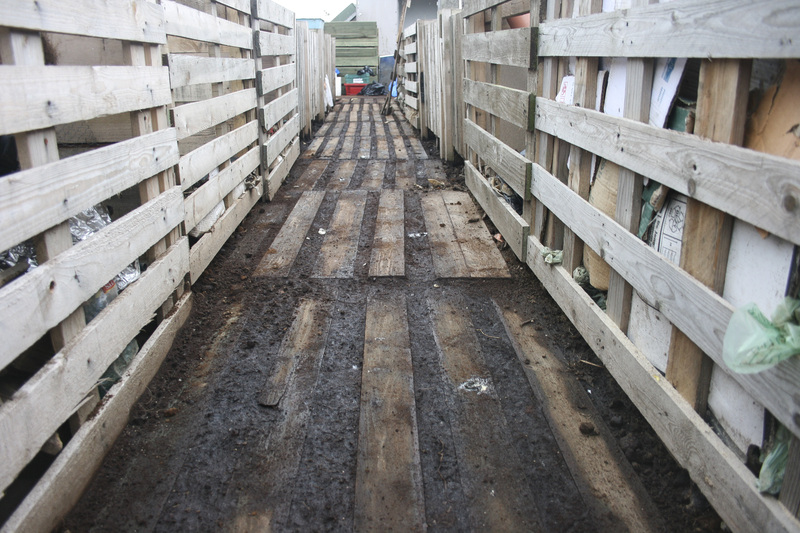 Now you see the end result of the pallet slaughterhouse. The multi-tier raised beds are all over the roof housing all sorts of plants and vegetables. The urban farming students, who are quite impressed, are keen to ask about plans “Plans, there are plans, there’s talks of building a geodesic dome for example, whether or not that’s going to happen though…There are a lot of questions”. Paddy himself has a fine art background and five years garden experience. 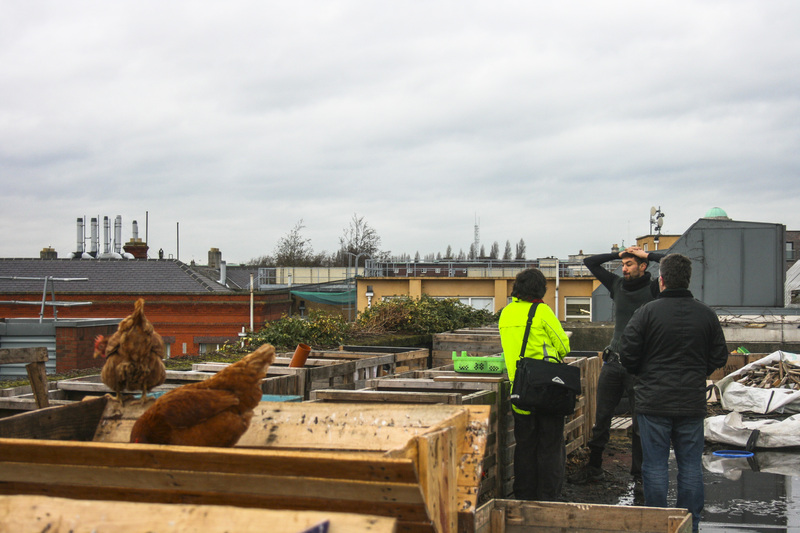 He described the Urban Farm as being “five minutes from the Spire, fifteen minutes from Grafton St.”, not unlike a businessman, and he is, having started City Composting Ltd. two years ago. 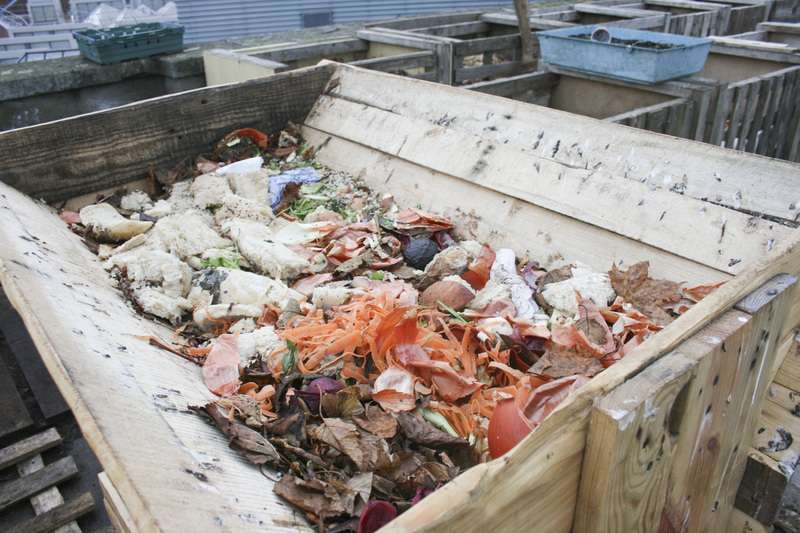 Like the Urban Farm, City Composting is all about sustainability. The Urban Farm is a great idea, it puts a space that would otherwise be going to waste to good use, it puts a lot of waste to good use, but it’s also sustainable as a business. The Urban Farm pays a “very fair rent” to the lease-holder of the Chocolate Factory, and they’re exploring ways to generate money. Before finding the Chocolate Factory, Paddy tried to go through Dublin City Council to show how empty spaces can be put to good use. It was in that process that he met his fellow two fellow urban farmers, and they started the Chocolate Factory. “There a lot of supportive people in the Council. But we got a bit sick of the bureaucracy. The Chocolate Factory understands what we’re doing. Now we can go to the Council and go ‘Here, this is what can be done. This is how easy it is’. “We’re a business with an ethos.” explains Paddy after the urban planning students are gone. “It’s about sustainability. We get transition year students doing their work experience here. We get volunteers. They help us out building things, but they also learn a lot. If they want to use some of our nails and varnish and throw us so money to cover them, that’s fine”. On King’s Inn Street, you wouldn’t think there’s an urban farm taking place above your head, but there is. As an eco-concious business , upcycling all the materials they can get their hands on, it’s a great idea. I asked Paddy if there was a lot of old junk in the space when they moved in. “Yeah, a lot of old wood, plastic tiles. It was great”. But in Dublin especially, upcycling what would be another vacant space in the city centre into a useful, living area, is a brilliant initiative. A visit to St. James Gate: the home of Guinness!